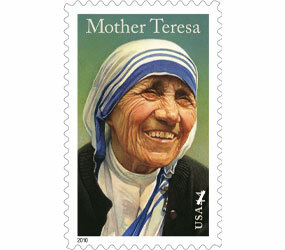 COLORADO - A Christian artist based in Colorado designed and created the Mother Teresa postage stamp that the U.S. Postal Service released yesterday on Aug. 26, the 100th anniversary of her birth. Thomas Blackshear II, designer of the 44-cent stamp, has created artwork for 30 U.S. postal service stamps including Joe Louis and civil rights activist Rosa Parks. For him Christian art is a ministry. Blackshear told The Catholic Review, “There have been many times that I’ve heard that a painting that I’ve done has influenced or affected people in ways that are not the norm."